Hello and happy cloudy Friday, rain, wind and storms in today's forecast. 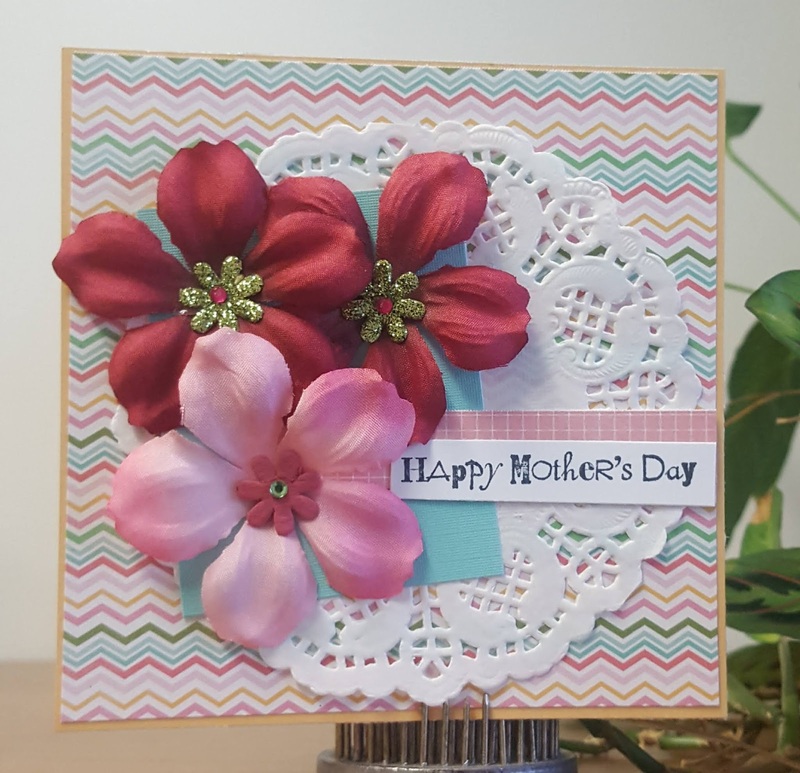 I'm doing a quick driveby post to share a Mother's Day card that I created using sketch inspiration from Sketch N Scrap card sketch #144. I'm having a hard time creating right now so I just decided to sort through some of my stash and I put this card together; the pattern papers came from the Pebbles Garden Party 6x6 paper pad and the flowers are from Prima and Paper Studio. I'm sharing this card for the Cardz TV Anything Goes challenge #88. Hello and happy Wednesday, more warm weather in the forecast for our area today. Wow, I just can't seem to get back on track with creating and sharing. I have really been sad due to a recent loss and trying to get my daughter ready for the prom and finalize her college plans. 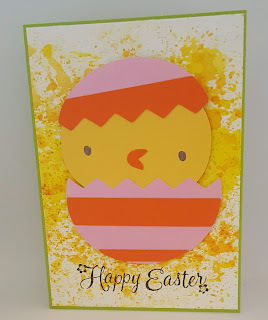 Today's card share uses sketch inspiration from Try Stampin' on Tuesday #404. The paper came from the Pebbles Garden Party 6x6 paper pad, Hampton Arts Bee Happy Stamp and Die and a Jillibean Soup stamp. 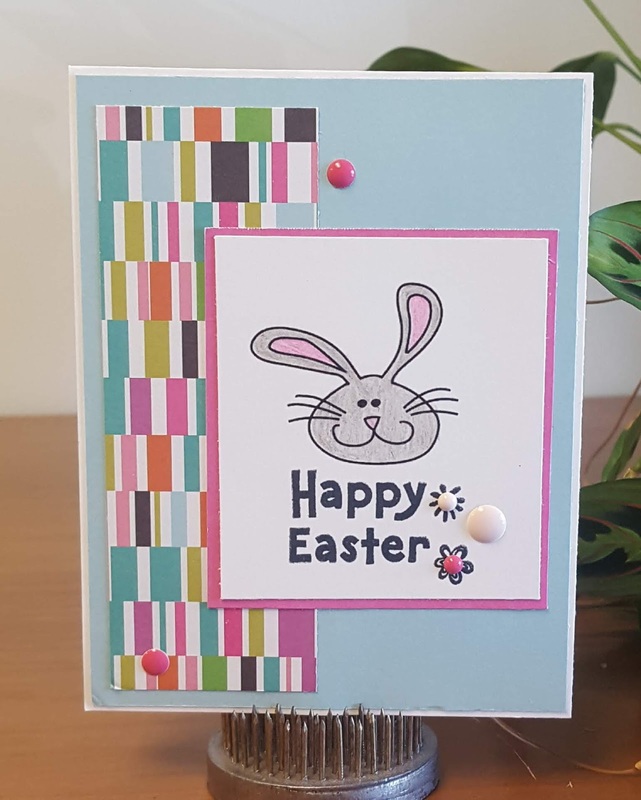 I'm sharing this card for the CAS challenge #107 over at Always Fun Challenges. Thank you for your visit, I hope you'll return soon. Hello and happy Friday, rain and possible storms in today's forecast. I'm back today to share my latest design team project for the Cut it Up challenge blog. The theme for challenge #172 is Butterflies and Bugs and the sponsor is Dreaming Tree. 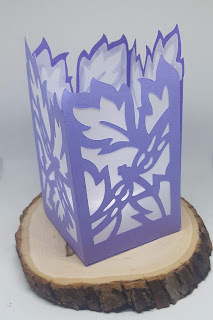 Today's project is a dragonfly mini lantern which is one of our sponsor's free SVGs. I really like the purple but wish I had a different color of velum and/tea light. The papers that I used came from the Love Nicole Peacock 81/2 x 11 pack. I will certainly be adding some colored vellum to my stash because this is definitely a project that I will probably create again! 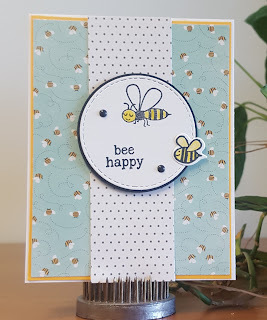 I hope you'll go visit the Cut it Up challenge blog for more design team inspiration and decide to join us by sharing your Butterflies and Bugs project for a chance to win a $15 gift certificate from Dreaming Tree. The challenge starts today and ends on Wednesday, May 1 at noon EST. Thank you for your visit and I hope you'll return soon. Hello and happy Saturday, cloudy and cool temps in today's forecast. Today's card share uses the technique called ink smooshing. I stepped out of my comfort zone and tried something different, I will be trying it again with different colors. 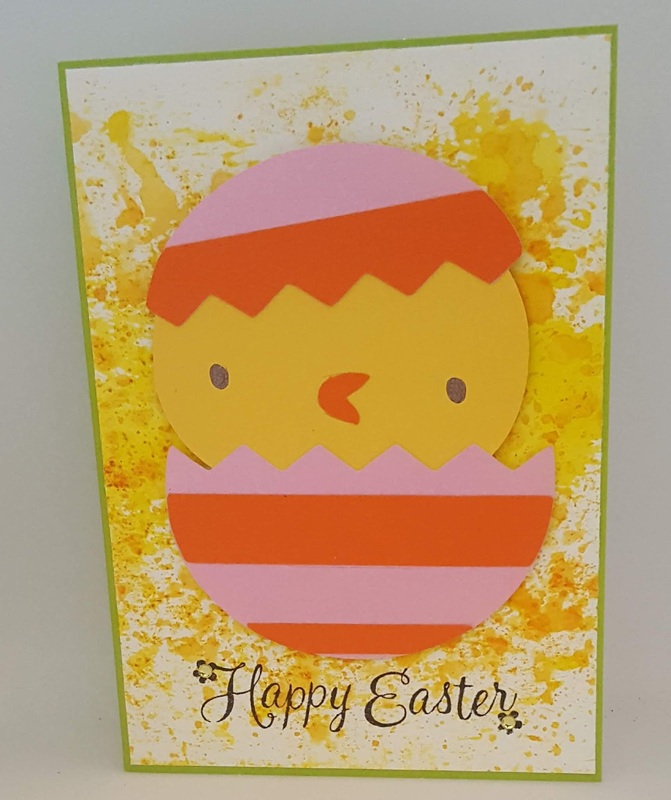 I used paper scraps of paper from my stash to cut the chick using the Create-a-Critter 2 Cricut cartridge and stamped the sentiment using a Craft Smart stamp, added a few gems (hard to see in the picture) and this card was done. I am sharing it for my the Easter challenge over at Bitten by the Bug 2 and the Fuzzy Wuzzy challenge #353 over at Use Your Stuff. Thank you for your visit, enjoy the rest of your weekend; hope you will return soon! Hello and Happy Friday, rain in the forecast for our area. 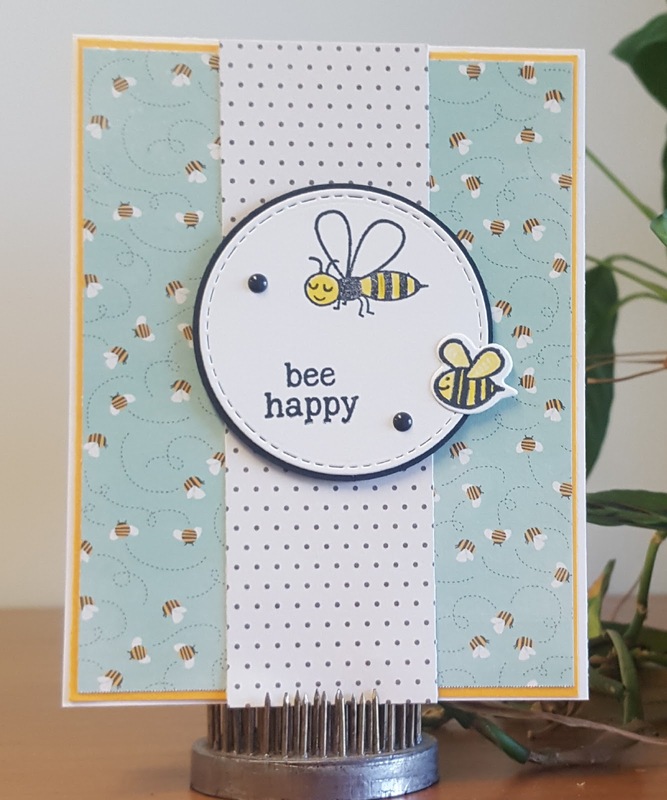 Today's project share is my latest design team project for the Cut it Up challenge blog. 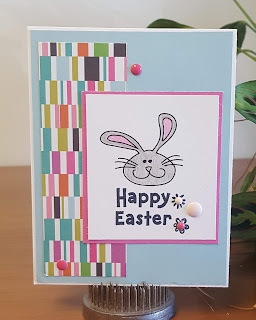 The theme for challenge #171 is Bunnies and or Baskets and our sponsor is CAS-ual Fridays Stamps. 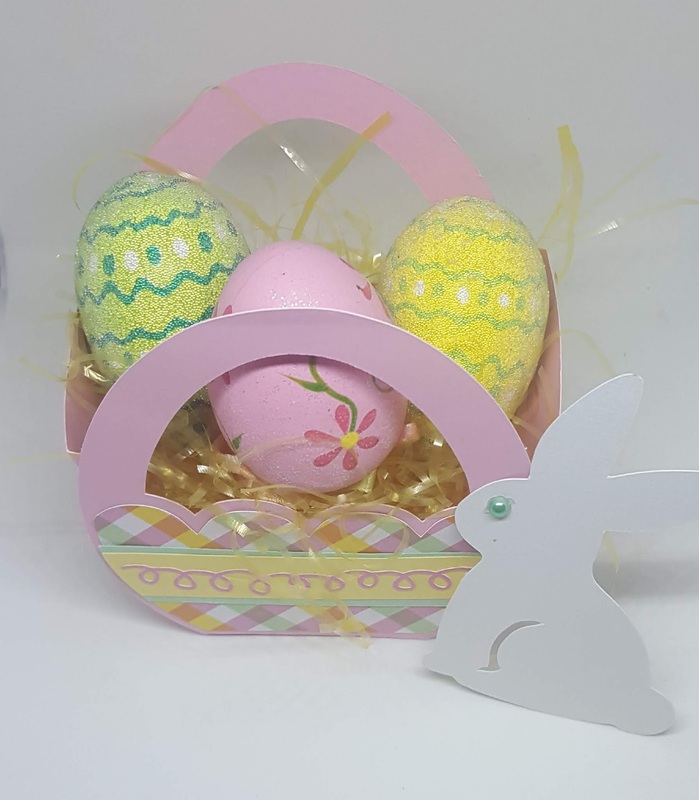 I decided to showcase a basket and bunny, the Easter Egg Treat Basket is one of my files from My Scrap Chick and I cut the bunny using my SLICE machine. I used more papers from the MS Essentials Holiday paper pad. I borrowed the eggs from a basket that I have sitting on my table as part of my holiday decor. 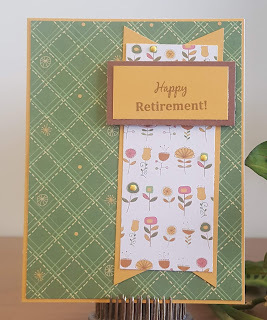 I hope you will head over to the Cut it Up challenge blog for more inspiration and create your own project for a chance to win a $25 gift certificate from CAS-ual Fridays Stamps. The challenge starts today and ends on Wednesday, April 17, 2019 at noon EST. Thank you for your visit, I hope you have a wonderful weekend.